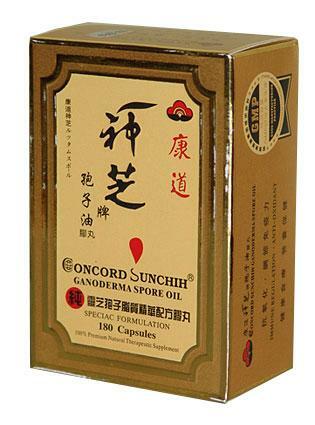 Concord Sunchih is the finest nutriceutical and therapeutic supplement which contains Ganoderma Lucidum Spore and 10x concentration of Ganoderma Lucidum extract (10:1). The most precious part of Ganoderma is its Spore. Concord guarantees highest quality and purity. The scientific name for this mushroom is Ganoderma Lucidum Mushroom. Ganoderma's history dates back 2000 years, as a Chinese medicine curing diseases, enhancing health and promoting longevity. The oldest oriental herbal directory, "Seng Nong's Herbal Classic", written 2000 years ago, ranks Ganoderma number 1 as "the superior and best quality herb" among all other Chinese herbs on the list, ranking higher than Ginseng. In healthy individuals, helps support and maintain a healthy heart, healthy blood pressure, healthy cholesterol levels, normal blood sugar levels and a healthy respiratory system.